Arts & Humanities Internship: An internship in which you examine and document the applications and manifestations of the arts & humanities in public and private sectors Complete and submit this approval request form before beginning the internship. Complete and submit this approval request form before studying abroad. Although we encourage you to complete the HHUM course sequence during your first two years on campus, you may take up to four years to complete any of the requirements. Moreover, if you study abroad as a Sophomore, you can return to complete our sequence of courses during your Junior or Senior years. 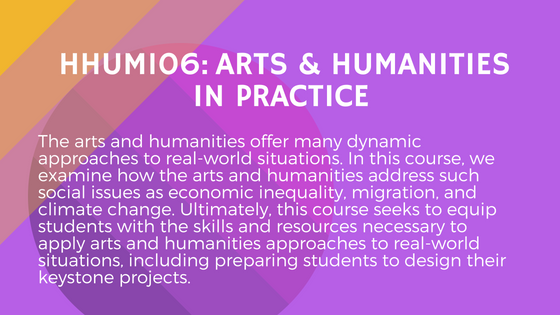 Arts & Humanities Honors Seminar: A course related to the Humanities and offered through the University Honors Program Complete and submit this approval request form before taking the course. Arts & Humanities Internship: An internship in which you examine and document the applications and manifestations of the arts & humanities in public or private sectors Complete and submit this approval request form before beginning the internship. Study Abroad: A credited study abroad experience in which you explore and document the nature and uses of the arts & humanities in a different culture Complete and submit this approval request form before studying abroad. You can combine elements of these three options, but you must complete a total of two such experiences. Although we encourage you to complete these courses during your first two years on campus, you may take up to four years to do so. Moreover, if you study abroad as a sophomore, you can return to complete our sequence of courses during your junior or senior year. 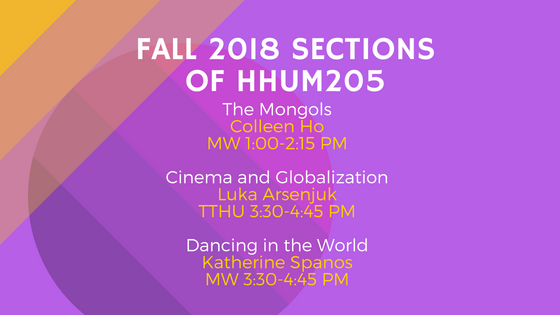 As of 2019, University Honors Seminars are available to some Honors Humanities students in a limited capacity, and access will end Spring 2020. Please see the chart below for HONR course access. 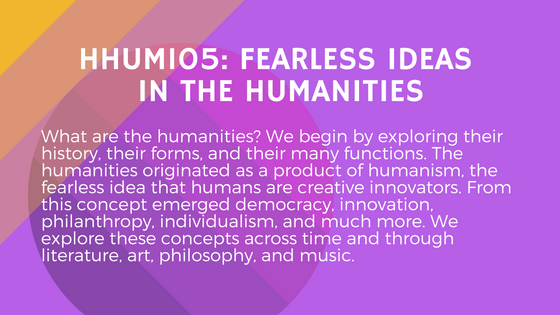 Our courses explore the nature and functions of the humanities by celebrating their pleasures, by putting their ideas into action, and by confronting the big questions, both past and present, which they have helped us to ponder. 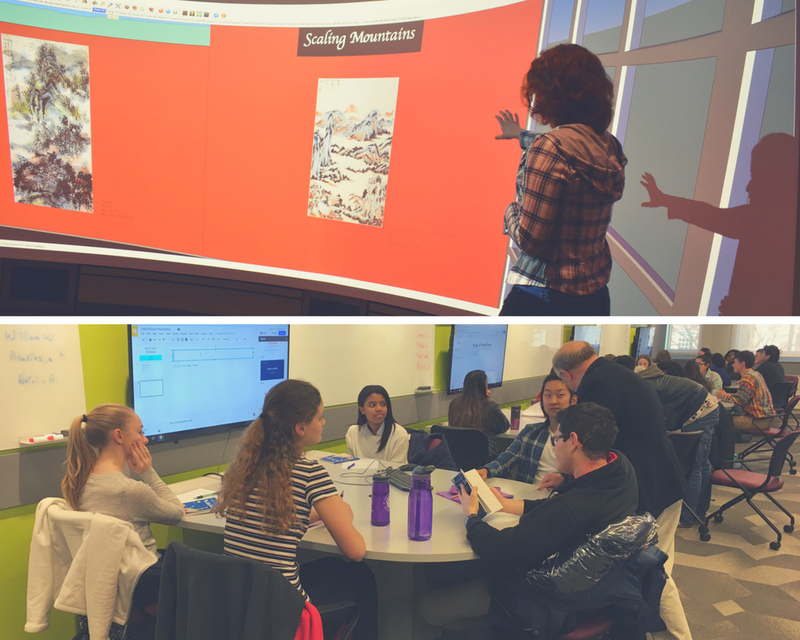 Through our curriculum you will also begin to develop your own ideas about how to contribute to the field through your Keystone project. Check out the HHUM105 Syllabus and HHUM106 Syllabus. 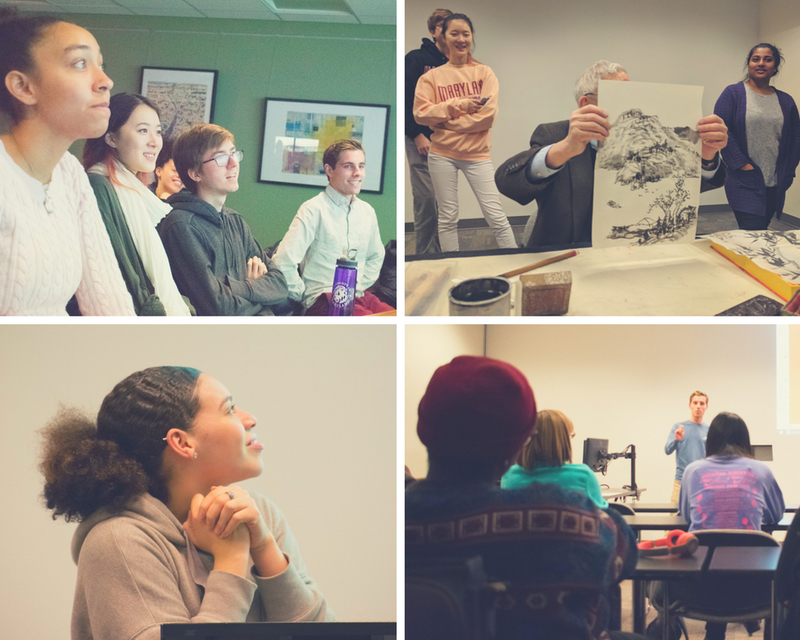 In the second year, students learn the global application and current relevance of the humanities, and are able to practice the humanities through completion of a keystone project. 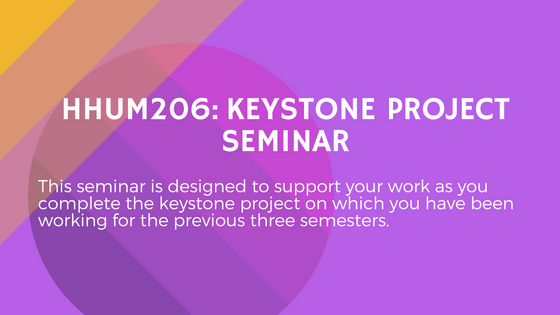 In addition to a seminar in the fall, students will participate in workshops to gain feedback on their keystone project along with their peers. 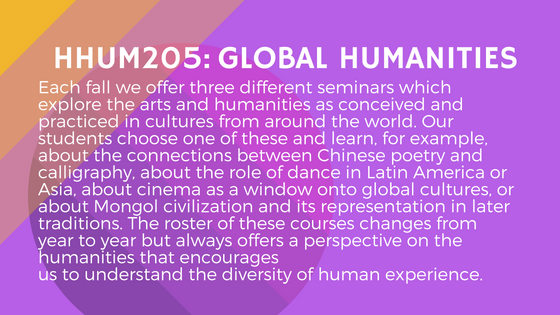 Check out the the Sample HHUM 205 Syllabi.